Have you ever had something that troubles you so much you’d like to avoid it altogether? Like, maybe just go to sleep and when you wake up, it’s over? Well, that’s what IV sedation near Apollo Beach can do for you when you have a dental procedure. If you have dental anxiety, intravenous sedation may be your treatment of choice. It’s called sleep dentistry. That means IV sedation allows you to peacefully rest while your dentist creates your beautiful smile. 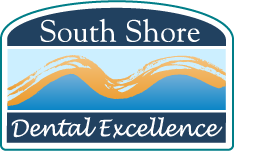 At Kernagis Dental Excellence in FishHawk, we thoroughly discuss all our dental sedation treatments. We partner with you to make sure you have little to no dental anxiety while you are here with us. It is important for us that the intravenous sedation procedure is tailor-fitted for your needs. We want you to be comfortable with the entire process, from the moment you step into our office near Apollo Beach until it is time for you to go home. Intravenous sedation can reduce dental anxiety, sometimes dramatically. Intravenous sedation can be administered, depending on your needs and the level of dental anxiety, so you can be physically numb but still aware of your surroundings. Intravenous sedation can also help you simply sleep through your entire procedure. When you wake up, you may not even remember anything about your IV sedation treatment. Intravenous sedation relaxes you such that you may experience no pain or anxiety from having your mouth open for extended periods of time. We have professionals who administer the IV sedation and you are monitored throughout the process. Note: for this type of treatment, you will need transportation to and from our office. Dr. Richard Kernagis and Dr. Jennifer Wynn Kernagis are confident that if you suffer from any kind of dental anxiety, you will be pleased with the sedation dentistry, including IV sedation, that we offer near Apollo Beach. Call or stop by today! We’d be happy to visit with you today in FishHawk about these options.